Anyone operating in the world of medical marijuana will need the right attorney to work with them at some time or other. Legal compliance is vital and you can’t afford to cut any corners when dealing with this issue. When it comes to finding an attorney for your medical marihuana facility licensing needs, there are some traits and characteristics you should look for. When you know what to look for, you’ll have a much better chance of finding the attorney that’s going to be right for you and who’s capable of offering you the legal representation you’re clearly in need of. We’re going to look at 7 of these things you should be looking out for, so read on now to find out more. Your attorney will need to have the ability to communicate well with you because they will be relaying plenty of information and advice to you. If they’re not doing so in a coherent and clear way, it will make your life more difficult and you’ll struggle to stay on top of all the things that matter to your marijuana business. On top of that, they need to be responsive when you make the effort to contact them. If you don’t feel like you’re being listened to at all, it will only make your life more difficult and frustrating. Your legal representation should be there to help and assist you whenever you need their attention, and their ability to communicate effectively is a big part of that. Next, you should assess their professional legal credentials. First of all, you need to make sure that they’re a licensed and respectable law firm that you can put your trust in. Of course, that’s the very minimum you should expect from a legal team whose services you’re paying for. However, it is important to check this. You could also take the step of talking to other businesses that have used their services so you can hear about what they’re like to work with from the people who truly know. This kind of insight can tell you a lot about an attorney or law firm, and that information could be the thing that helps you make your final decisions in the end. Having the right level of professional experience in this particular field is key. 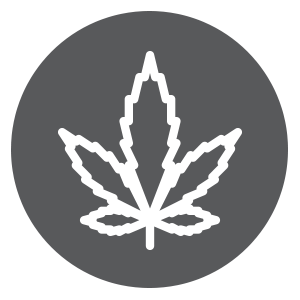 Medical marijuana and the law surrounding facilities and their licensing is not necessarily something that all legal professionals will understand. It’s a niche area of law that requires someone with relevant knowledge and relevant experience. Talk to them about what their knowledge and experience in this field are like. If they’re serious and they can be trusted, they won’t have any problems talking to you about their past experience and what they’ve achieved for other companies like yours in the past. But if they’re not willing to answer those kinds of questions or don’t offer satisfactory answers, that’s a red flag. When you’re paying a legal firm to provide you with their attorney services, you have every right to expect the best from them. You should expect their full attention and their expertise in good times and bad. Do everything possible to look for a legal attorney that’s attentive and who is going to be as generous with their time as possible. If they’re not paying attention to your needs, you will be left vulnerable from a legal point of view and that’s never acceptable. Make it clear that you expect to be able to call on them for their help whenever necessary. This isn’t about being demanding, it’s about expecting the service that you’re paying for. This might seem like a strange point to include, but the relationship between yourself as an entrepreneur and your attorney is a personal one as well as a professional one. If you get on with one another well, your relationship will be far healthier from a professional perspective too. That’s why it’s not a bad thing to choose a likable attorney. Your life will only be more difficult and stressful if you don’t get along well at all with your attorney, so when you meet them for the first time, try to get an idea of what their personality is like and whether you think you’ll get along well. If it’s clear they have a personality that will clash with yours, move on. It’s important that you choose an attorney who knows the local, state and federal laws surrounding medical marijuana well. If they don’t know these details inside out, they won’t be the best person to represent you. Test their knowledge and make sure they know their stuff. There’s no reason to accept second best when it comes to choosing the right attorney for your business, so don’t feel that this is something that you have to do. If they don’t know the laws, they won’t be a good lawyer for you. 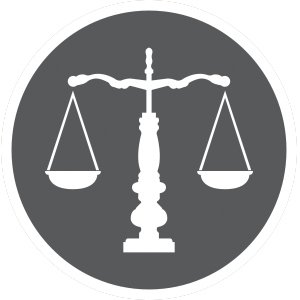 The most reliable attorneys are the ones that have a track record in numerous different fields of law. If you choose one that only knows marijuana law and nothing else, this should make you slightly suspicious of them. Instead, look for a well-rounded attorney you can really trust. It shows that they are, first and foremost, good attorneys with a strong grounding in the basics of law and things like that. It’s only right that you have a lawyer with good general legal knowledge and not merely an interest in marijuana law. Choosing the right medical marihuana facility licensing attorney is a big step to take and it’s a vital one. You need to make sure that you’re choosing the right person to represent you and work alongside you because all kinds of things can go wrong if you don’t. Be sure to dig deep and tick each of the boxes mentioned above.